Hummingbird Electronics’ warning system technology is helping to improve safety through customisable verbal messages and visual cues for truck, bus and heavy machine operators. 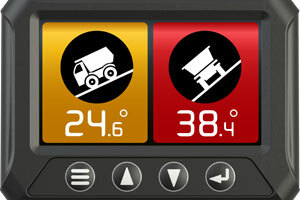 Flashing warning systems, monotonous buzzing alarms – the heavy machine operator’s dashboard can light up like a Christmas tree to warn them of any imminent dangers. However, are these visual and audible warnings getting through in time before an accident occurs? For Australian safety electronics manufacturer Hummingbird Electronics, clear verbal messages present a number of safety benefits that can help build on and improve the warning systems already in place for heavy machine operators. Part of the REDARC Electronics group since May 2015, Hummingbird specialises in bespoke sensor products focused on driver safety, both for trucks and construction equipment operators in the Australian civil construction and transport market. “Everything from the angle, pitch, temperature and force to the speed of the vehicle – Hummingbird products encompass all aspects of driver safety,” Mark Bruce, Hummingbird Electronics’ National Sales and Marketing Manager, explains. The company’s latest product releases epitomise how an effective warning system can be the difference between a near miss and an accident for operator and machine. 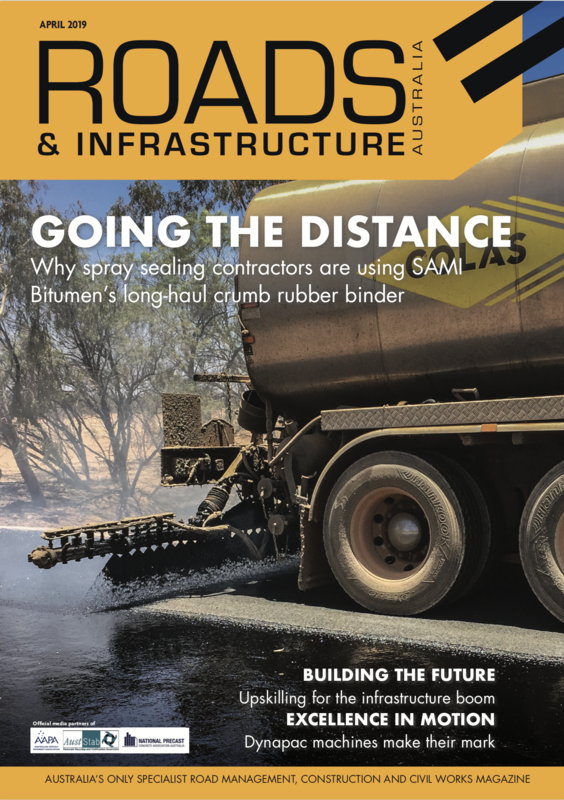 The Hummingbird Elite HMDS8000 Dual Axis Inclinometer – an in-cab monitor and sensor kit – enables an operator to monitor the pitch and roll of their machines, namely large equipment and customised vehicles such as earthmoving machinery, water trucks and heavy transport vehicles. “These are large machines and can be very dangerous on civil and mining sites because they tend to inherit a high centre of gravity,” Mr. Bruce says. The higher centre of gravity means a large portion of the machine’s weight is carried high up off the road surface, making them top-heavy and vulnerable to roll overs, especially on the varied terrains of civil worksites. “Once you start putting loads in the back of a dump truck or the earthmoving boom/bucket of an excavator, the centre of gravity can also dramatically change,” Mr. Bruce explains. Articulated dump trucks, for instance, can be especially susceptible to rolling from slight angles, according to Mr. Bruce. “A wheel may drop off an edge that could take the trailer with it, the weight of which could also take the cabin with it,” he says. The Hummingbird Inclinometer kit provides the operator with a visible pitch, roll and speed measurement display that shows the angle of the machine and when a potential danger is imminent by way of a unit sensor on the vehicle. The ability to customise the response time of the sensor gives more flexibility in various applications, such as vehicles travelling over rough surfaces, which could trigger a false alarm. The Inclinometer Elite model incorporates GPS technology, which provides speed readings and the ability to log over-speed events. “It can then provide a time stamp of where and when an event occurs. All that information can be accessed straight from the password-protected device without the business having to use a third party,” Mr. Bruce adds. Traditionally, heavy machine operators have used a ball-in-tube type warning system using gradients on a curved tube to alert them to a potentially dangerous angle. However, Mr. Bruce says this system has become antiquated. “With the Inclinometer system in the cab, the driver is getting training every day. It’s painting a really precise picture of what angle and gradients they are getting close to,” he says. The Hummingbird Inclinometer is also the only product of its type that can incorporate two sensors, making it perfect for articulated machines, according to Mr. Bruce. A second sensor can be installed and monitored simultaneously via the in-cab screen, providing independent pitch and roll information for a second vessel, such as a prime mover and its trailer. 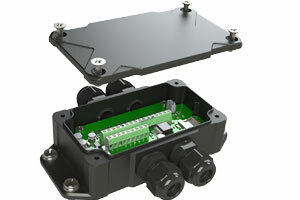 Like the Hummingbird Inclinometer kit, the manufacturer’s 16 Channel Audio Alert System is designed to alert vehicle and machine operators of safety warnings, albeit in a uniquely vocal way. Hummingbird identified the need for an alarm system that went beyond the traditional ‘buzz’ and visual light warnings Through comprehensive product development the Audio Alert System was born. The system is designed to give vehicle and machine operators clear and precise audible, verbal alerts when an input trigger has been detected, rather than receiving an alert via a dashboard full of warning lights, symbols and buzzers. It can be programmed for up to 16 individual input triggers, which come in the form of prerecorded audio files loaded onto an SD card and put into the device on installation. If one of the triggers is for low oil pressure, for instance, the device could emit a preset verbal message such as: “warning, oil pressure low”. He says other examples of warning messages could cover high engine temperature, headlights on, tailgate open or even over-speed detection. It also features a 9- to 36-volt input range, enabling it to be used in both 12- and 24-volt vehicle applications. Both Inclinometer and Audio Alert System devices can work in tandem – the Elite Inclinometer can issue a verbal message when a roll warning is detected, for instance. Mr. Bruce says the system not only helps to improve operator safety, but it can help guide the operator on the tasks at hand. Mr. Bruce says there are a number of bus companies using the system as standard, as well as waste management firms and OEMs adopting the Australian designed and manufactured safety devices.